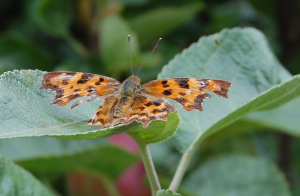 Observation - Comma - UK and Ireland. Description: Wings torn, probably very old. Wings torn, probably very old.